The Wareham Gatemen (15-11) have been a thorn in the Chatham Anglers (12-11-2) side all summer long. First, Wareham ruined Chatham’s opening day ceremonies, beating the Anglers, 12-4, behind a seven-run ninth inning. Then, the Gatemen ended the A’s three-game win streak on June 19 before beating the Anglers for a third time on June 27. At Veterans Field on Wednesday, Chatham has a chance flip the narrative as they go toe-to-toe with the Western Division leaders. 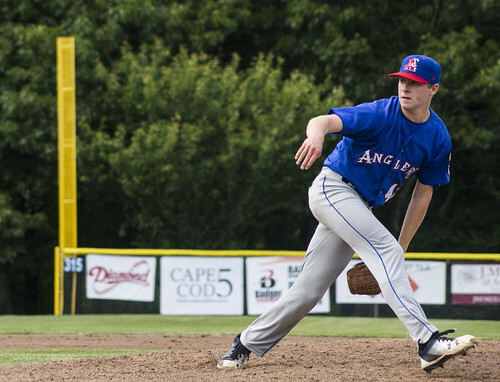 The Anglers are coming in hot after sweeping a doubleheader Tuesday over the Falmouth Commodores at Guv Fuller Field. In game one, the Anglers shut out the Commodores, 1-0. An early RBI single from Adam Fogel (Hawaii) to score John Rave (Illinois State) proved to be the difference in the game. It was Chatham’s first win this season when scoring fewer than four runs. In the back end, Blake Sabol (Southern California) spearheaded the A’s offense to a 7-2 victory. Sabol reached base all five times he stepped up to the plate via three hits and two walks. His biggest hit was a three-run bomb in the second inning that extended Chatham’s lead to five. In both contests, the Anglers scored in the first inning. Chatham manager Tom Holliday said he prefers when his team score first in a ballgame. For the third time this summer, Davis Daniel (Auburn) will be given the ball to start the game. In three appearances, Daniel has allowed two hits and three walks while giving up no runs and striking out 13 batters. Of all the pitchers in the CCBL with no runs given up, Daniel has thrown the most innings with 11.2. Wareham’s offense is led by Austin Shenton (Florida International). Shenton is the league-leader in multiple offense categories, including hits (32), batting average (.390), on-base percentage (.505) and runs created (21.283). In three games against the Anglers, Shenton is 5-for-10 with two walks and three runs scored. With the two wins Tuesday, the A’s leapfrogged the Harwich Mariners in the Eastern Division to take control of second place in the division. Chatham is now six points behind the Yarmouth-Dennis Red Sox. Wareham is tied for first place in the Western Division with the Hyannis Harbor Hawks. The Anglers have multiple injuries in the infield. Branden Fryman (Samford), Greg Jones (UNC Wilmington) and Ben Ramirez (Southern California) are all dealing with different ailments while catcher Jake Taylor (Oklahoma State) is also out with an injury. As a result, Holliday had to move players around in the field Tuesday to positions they have not spent much time at this summer.